We are living in a world where we are constantly being besieged by the various people that feel like they somehow have some level of control over our lives because of the fact that they are able to hack into our various social networks and online presences. One way in which we can try to make the most of the kind of online security we desire is by attempting to use two-factor authentications which are a very important part of how we tend to do things these days. Google attempted to enter the multi-layer authentication game by releasing the Titan Security Key which is a physical device that would allow you to confirm that you are indeed trying to log into your account and that no one is trying to access your account through any illicit means of any sort. Google seems to be upping its game even more by making it so that you can use your Android phone as a 2-step verification key as well, as long as the phone in question is running at least Android 7, Nougat version. "This means users can use existing phones as a primary 2-Step Verification method to protect against phishing. Using a phone as a security key is currently offered in beta. ", announced Google team in a blog post. 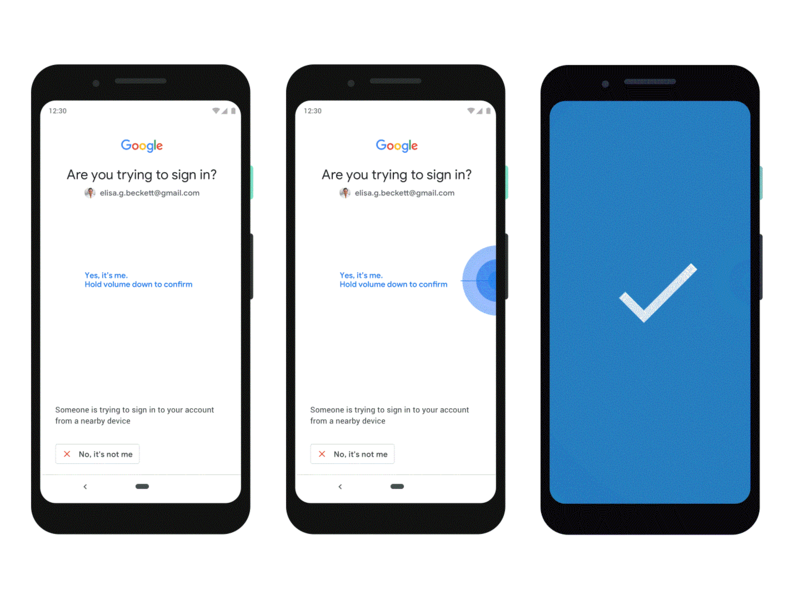 The way this will work is that whenever you are trying to sign in to one of your accounts on Google, you will receive a prompt on your phone that will ask you to confirm that it is indeed you that is attempting to sign in. You can simply press volume button and then log in immediately. Another use for this update is that it would tell you if anyone is trying to sign in to your account without your knowledge. "This makes it easier and more convenient for you to unlock this powerful protection, without having to carry around additional security keys. ", said, Arnar Birgisson, Software Engineer and Christiaan Brand, Product Manager, in a blog post. Android user can read the detailed-guide on how to activate the new security key feature on their smartphone, here.